It’s a broken record at the moment. I can almost expect it both in conversations with friends and clients every single day. Chances are, if you’re living in Nashville, you’ve thought it or said it out loud yourself. I’m guilty as well. Sure, it’s January. What else should I expect but cold grey stretches that make me want to hole up, listen to Bon Iver circa 2008, drink excessive amounts of coffee, and write for hours in my journal? There’s good reason for this. The weather directly affects how we feel physically and emotionally and can wreak havoc on our overall experience in fall and winter months. I used to experience heightened levels of anxiety and depression every year when clocks fell back and the sun quit her day job at 4:30pm. My motivation went on strike, healthy habits skipped town, and the feeling of loneliness was pervasive. Finally, I got desperate enough and took matters into my own hands. I began advocating for my mental health because I knew no one else would. 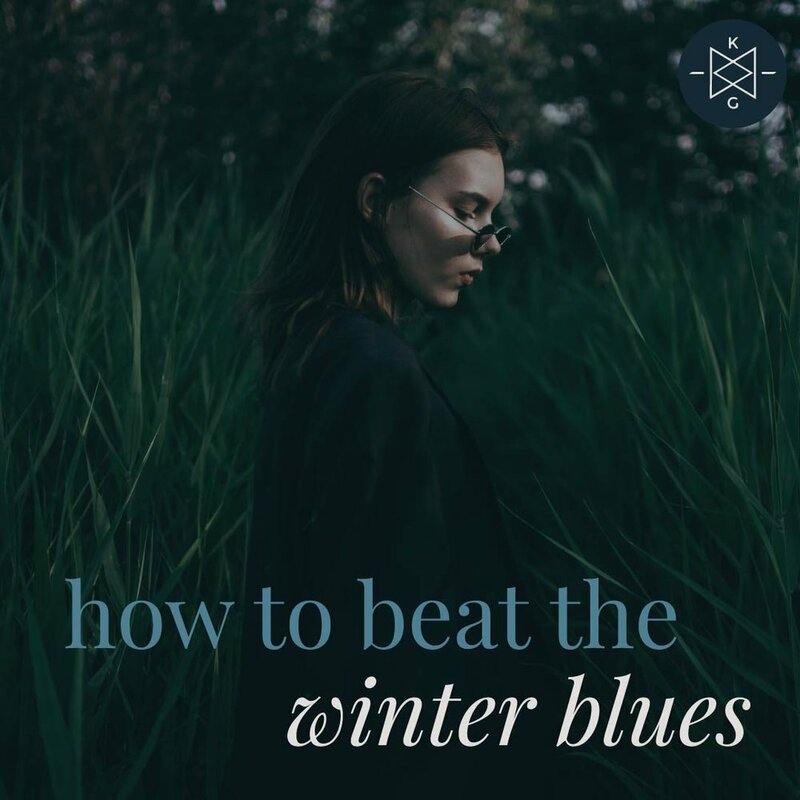 Through personal research, therapy, and challenging my normal behavior each year, I landed on some powerful tools that supported a more hopeful experience when the winter blues started creeping in. For starters, Seasonal depression is slang for Seasonal Affective Disorder (SAD…aptly). It’s not simply “depression light.” It’s a subtype or specific kind of major depression that is symptomatic with the changing seasons, especially in fall and winter. There are obvious and not so obvious reasons for SAD. The ones we all agree on are simple though: with less exposure to sunlight during the fall and winter months, our biological clock can often get pummeled, leaving depleted levels of serotonin, a brain chemical that helps govern and boost our mood, and melatonin, that gorgeous stuff of sleep. If you experience a noticeable shift in mood, physical activity, patience for people, energy level, sleep, and desire to participate, keep reading. Likewise, if you are a human being with a heartbeat, keep reading. I have a hunch someone in your life needs your grace and support because they suffer from SAD. Structure is the sensitive soul’s best friend. For me, this means intentionally planning out my days from week to week. In fall and winter months, it’s starting a bit earlier so I can enjoy more sunlight, even just 30 minutes. When emotions whip us around, assuming their throne in the driver's seat of life, it can be so easy to slip into victim mentality, feeling powerless. Having a set structure, or routine, for our day helps us reclaim the steering wheel. My morning ritual is everything to me. It allows me time and space to practice the things that ground me like meditation, writing, and reading. In the coming days and months, experiment by putting some new structures into place to facilitate a more ordered interior landscape. Daily Exercise has officially become my antidepressant of choice. Hear me out, antidepressants can be a very helpful piece of the emotional puzzle when necessary. They definitely have for me along the way. However, exercise is one of the most effective and proven ways to improve overall mood and stress levels. Getting a good sweat also helps us sleep more soundly. It’s tempting to let workouts trail off, but I say we fight for them. Make it a daily routine if possible, like brushing your teeth. This isn’t about rigidity, it’s about shifting our norms to facilitate more energy and vitality. Plus, there are tons of streaming workouts online when we simply don’t want to leave the house. My personal favorite is Tracy Anderson’s Online Studio, a subscription-based method, and Yoga With Adrien, which is a free YouTube channel. I get it. When depression sneaks in, we often lose our desire for the things we typically love to do. We want to isolate, sleep, eat, drink, numb. It’s so much easier, right? Numbing out may offer temporary relief for our pain, however, we forget that along with the negative feeling emotions, your numbing strategy of choice dulls the positive ones as well. Happiness, excitement, and gratitude are harder to come by and we get thrown right back into the tangled thicket of depression once again. Replace the numbing with support. Identify “safe people” who know and accept you where you are. Make a list of two or three and reach out to them to let them know you’re struggling. If you don’t have said 2-3 people, a good place to start is therapy. While I’m a big believer in individual therapy, finding a group therapy opportunity may be even more effective. I offer several options and would love to support you in this season. There is absolutely no shame in seeking professional help. It is a courageous act of self-compassion.